We've gotten to work with couples from all over the country. We think it's important for our potential clients to read a little about the experiences some of our other couples have had! "Lizzie + Marco were hands down the best investment of our wedding and we knew we made the right choice from day one. After finding one of Lizzie’s photos online, we set up a phone call and immediately connected. She was so personable, easy-going and one of the sweetest people we’ve ever met. From our engagement session to the day of our wedding, spending time with both Lizzie & Marco was a blast. Both of them were just so easy to talk to and interact with; it didn't feel like a photoshoot, but rather just 4 people hanging out, laughing a whole lot and snapping incredible memories! Their guidance and instruction allowed us to capture an authentic glimpse into our relationship, which we will forever cherish. As a couple, they radiate love and we wouldn’t have wanted anyone else behind the lens to capture a feeling they so easily exhibit. We were speechless when we received our engagement and wedding photo collections. It was so fun to relive our day through the natural fun and excitement they were able to capture with their individual style. Not one moment was missed and their energy and passion showed through in every photo. They captured the uniqueness of our relationship and details of our special day so perfectly. We could not recommend Lizzie + Marco enough. You will not be disappointed with the responsiveness, dedication and the time spent with two wonderful people!" "Lizzie and Marco were a dream to work with! The process leading up to the wedding was incredibly organized and my emails were always responded to quickly and thoughtfully. The engagement session was such a treat and a great way to practice being in front of the camera. The couple brought such amazing energy to our wedding day! They were extremely professional and worked so well together to think of every little detail. They tirelessly captured our day from start to finish. Their sense of humor and warm personalities made it feel natural to be photographed by them. We are SO happy with how our photos turned out! The quality is stunning. They managed to capture the essence of the day perfectly with all the shots we could have hoped for including candid moments that we are so lucky to be able to remember forever." "I originally reached out to Lizzie because I saw her stunning photos, but I ended up booking Lizzie because of meeting her in person and connecting with her immediately. When you spend so much of your wedding day with a photographer, it is so important that they are fun and make your day all that much sweeter. Lizzie and her husband Marco kept us laughing, and were so professional in directing our bridal party, friends and family in taking photos that blew my expectations away. I could not have been more happy with our wedding photos, she captured the most significant day of my life beautifully and I would recommend her to every bride." "I am SO thankful for Lizzie Randazzo's friendship and her insanely good photography skills. Marco and her are INCREDIBLE at what they do...and some of the coolest people I know. They are intentional with their shots, never distract from the event, add life and clam to the preparations and party, capture all the important moments, and produce countless photos that will be cherished for a lifetime. They make what they do seem effortless. They have a real gift. We are so happy that they were a part of our wedding!" 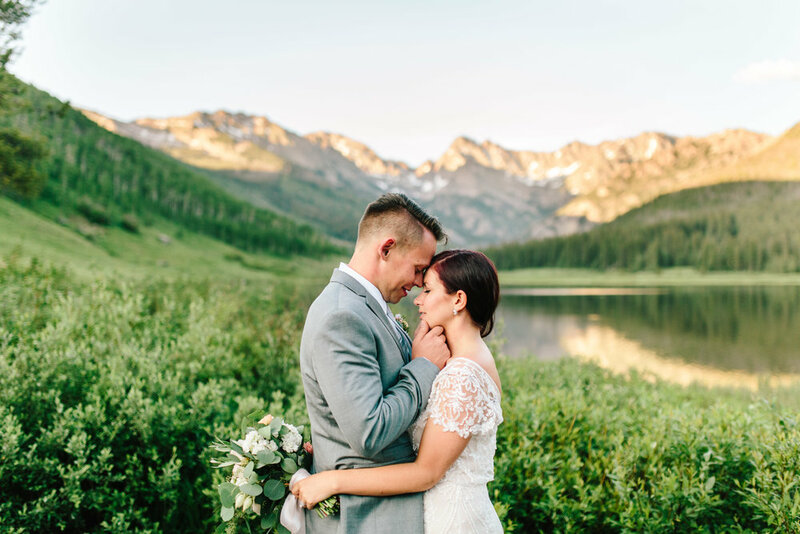 "Having Lizzie + Marco as our wedding photographers was the best decision my husband and I made in regards to our wedding (other than marrying each other!). Lizzie is one of those people who just instantly becomes your friend. At our engagement session, we felt like we had known her forever, and settled quickly into a comfortable relationship with her. Since it was our first time in front of the camera, we were a little nervous! But she made us both look like pros and feel comfortable doing it, right from the first picture. Marco is just as warm as Lizzie, and he fit right in with our guys on the day of the wedding! Aside from the insanely stunning images they gave us from our special day (seriously, they're spectacular --- people always comment on how amazing our photographs are), Lizzie + Marco were never a distraction at our wedding as they so naturally blended in. Yet they captured every moment for us! We wanted memories captured but also wanted to enjoy the moment with our guests. Also, I felt like Lizzie + Marco were the type of people who would fix anything that went wrong on our wedding day; not because it was their job, but because they loved us and wanted us to have the best day! I just knew they'd jump in wherever a hiccup would arise. We've made lifelong friends with Lizzie + Marco! Lizzie + Marco come with our highest and most thorough recommendation, and the peace of mind and quality of work you'll get from them is like no other." "I would recommend Lizzie and Marco to anyone getting married! They are so insanely talented at what they do, there is nothing I would change about our pictures. We are so grateful that we get to relive the best day of our lives through our beautiful pictures. Lizzie and Marco are far from a one day only service, they are with you the entire way. They're genuinely invested in making your big day exactly what you envisioned and more. We are very happy we chose them, and we are so happy to now call them friends." I have always admired Lizzie's photography work and I knew I had to have her for my wedding! Kevin and I met with Lizzie right after we got engaged and booked her instantly. Our engagement session was incredible and Lizzie made us feel so comfortable in front of the camera. Wedding photography is so important and on the day of our wedding, Lizzie and Marco were absolutely incredible! They are so genuine and friendly and made the day go by effortlessly. They were able to capture the sweetest moments and details from our wedding day that we will cherish forever. They were extremely timely with previews, the blog post and the full collection. My husband and I could not be happier with our wedding photos. I highly recommend Lizzie and Marco!